In less than a decade – a decade likely to be characterised by disruptions in technology and business models, intense global competition and inter-connectedness – India aims to nearly double its economy to reach a GDP of USD 5 trillion by 2025-26, implying a 8.2% CAGR. This is undoubtedly an ambitious target. 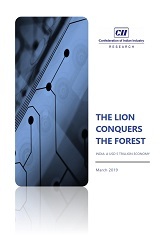 ‘The Lion Conquers the Forest’ lays out an action plan covering all key industries: services, manufacturing, mining, power and agriculture. Specific actions required by all stakeholders - government, industry and academia, amongst others – to achieve the USD 5 trillion economy target are detailed in the report. Retaining and, indeed, strengthening our global leadership position in services will require India to not merely rapidly adopt the new services paradigm – the Digital Economy – but more so, drive it. 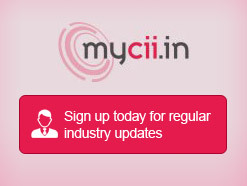 The report sets out focused interventions for each element of the CII framework for the Digital Economy eco-system. The roadmap for the manufacturing sector is presented in the form of an Interventions Escalator, comprising horizontal and vertical interventions. Horizontal interventions impact all manufacturing sectors, resulting in across-the-board growth. The report also identifies likely high-impact manufacturing sectors and recommends additional interventions targeted at these sectors: ‘Vertical interventions’. Learnings from other countries which have successfully accelerated their economic growth have also been explored. ‘The Lion Conquers the Forest’ comes at a time when India is at an inflexion point. This report will be useful for both policy makers and policy influencers, as also anyone seeking a broad understanding of the interventions required to thrust India into global leadership.